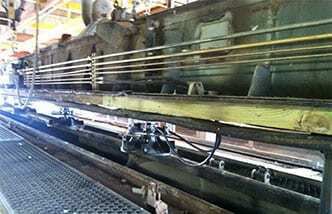 Railcar Loading Systems: Save Money. Save Employees. 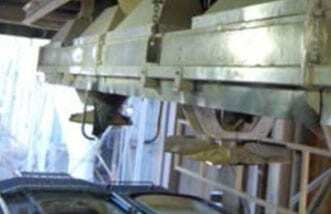 Loading rail cars to their fullest is extremely difficult, whether its DDGs, pellets, Corn Gluten Meal or Soybean Meal. 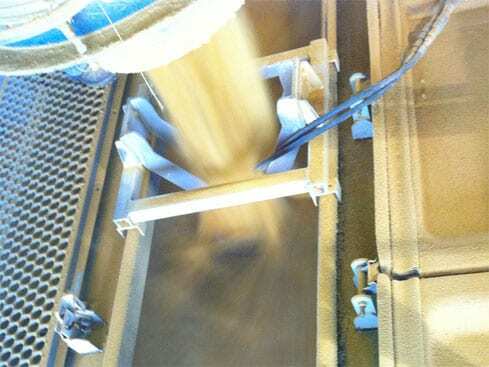 You have to worry about fill rates, capacity problems, topping, cleaning and environmental concerns. At the end of the day plants are filled with debris, shovel crews quit, and rail cars are shipping out at 90% capacity. 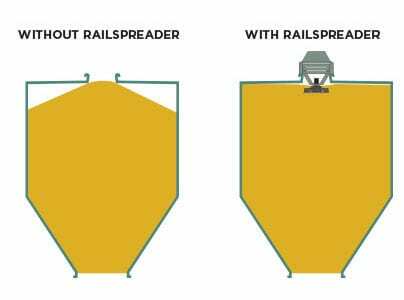 Our fully contained RailSpreader system eliminates all of these problems. And it’s saved many of our clients hundreds of dollars per car. Eliminates need for topping off. Reduces overall load-out time by minimizing clean-up. Adaptable and customized fit to your current load-out equipment. Eliminates the need for shoveling, so you don’t have to deal with labor turnover. You don’t have to worry about environmental restrictions. Maximizes the load to improve profitability. Eliminates the need for manual labor inside the car. The load spreads evenly  as it flows, so there is no second step — no shoveling to eliminate a center pyramid. 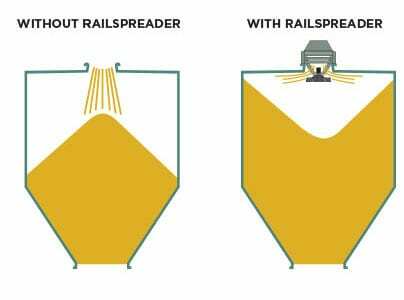 Safer, faster, and easier than any other loading strategy. 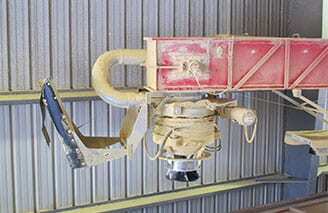 Incorporates effective dust-control access points, remediating the dust issue  almost completely when linked with a dust collection system.